For various reasons many of us don’t get as excited about planting our front annual beds each year. Problem is this can leave our landscape lacking in color or interest. Patio trees make a wonderful focal point, and with some imagination can be show-stopping. Patio trees can be evergreen like the spruce in the photo, or can be flowering shrubs such as hydrangeas or ninebark. The concept is having a small 3-5′ tall tree standing out from the landscape that provides addition interest with color or texture without covering up the house. Often we under plant the specimen tree we choose with a ground cover such as thyme, heucheras, ferns, or something bright such as lemon ball sedum. Of course annuals also can be used. Incorporating small garden boulders adds additional year-round interest. The look can be simple with a patio tree and ground cover or annuals, or you can combine textures like Heather did in this display. 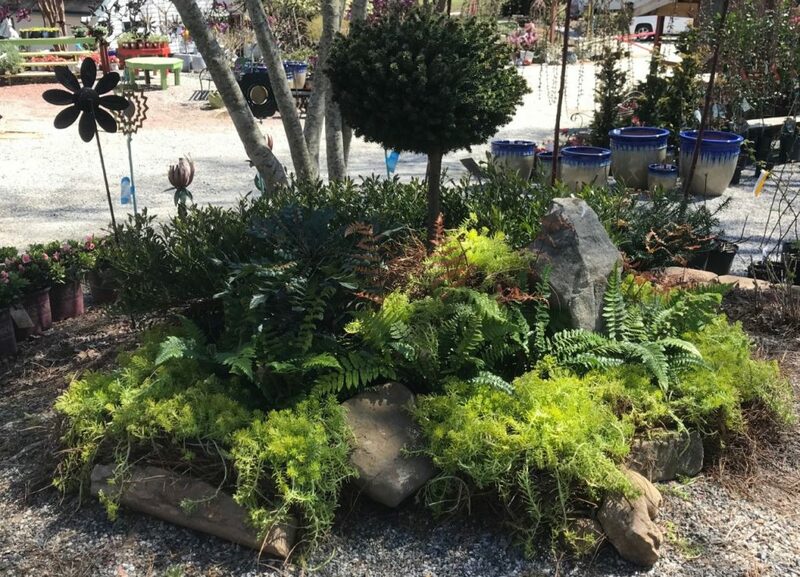 Stop by our Woodstock nursery, and let us show you some combinations to make your yard stand out.